Universally true words of wisdom that remains true through the ages - yesterday, today and tomorrow. It’s been a day – an endless rush of due dates and creeping deadlines; networking; smiles in place; beds to be made; lunchboxes to fill; tummies to quieten with hurriedly prepared meals; a promise to self that the next meal-will-be-more-balanced-with-fingers-crossed-behind-your-back; even more fingers scurrying across a keyboard paying bills; silent prayers heaven sent for numbers to tally and bank accounts to receive and for cash flow to survive the depletion; quick cappuccinos on the run; swirling petrol fumes to quell amber fuel starved warning lights on the dashboard; homework supervised; cheerleading done and finally… a collapsed bundle in front of the TV. That’s it. I am done. Nothing else left to give. No inclination to do so. Enough! Yes, you’ve done some pretty important stuff. It means something. You’ve achieved check-lists full of neatly ticked columns; to-do lists ready to be filed away - pretty monumental accomplishments in the day-to-day lists that become life. But here, now, as tired as you are – here comes the really important stuff; the meaningful stuff; the life defining stuff. It’s padding softly; feet socked down dimmed passages. It’s doors slightly open…welcoming. It tousled-hair-pillow-cushioned little bodies warmly wrapped in racing car and princess pyjamas. It’s dreams of pirates and princesses and the sand man and sleep dust. 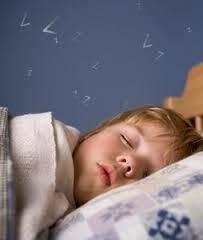 It’s kissing your children goodnight, every night, – even if they are already asleep. Because the time will come when it will pass. And you will know that it’s normal and you will know that it’s part of life. And quietly within the very depths of your souls you will be so immensely proud of the incredible young people that you have helped to guide and mould and nurture. But still… your heart will give a little squeeze … because you will never quite be ready. Still, you will find it hard to entirely let go. Still, you will want to lean down, and plant a kiss on their hair tousled foreheads and hold their no longer chubby little hands. And still you’ll always whisper them a goodnight … as you finally drift off to sleep and wish them love and blessings always.